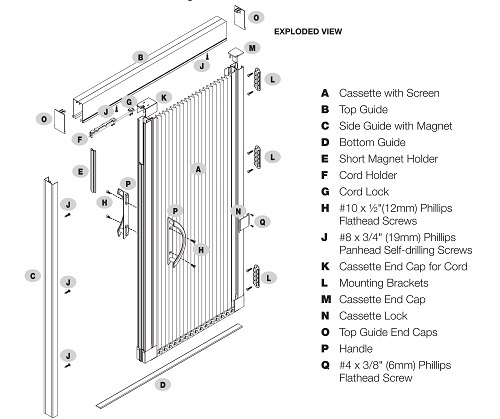 The Sheer Advance Screen is a pleated screen system that bi-folds neatly back when not in use and is ideal for single entry doors, patio sliding doors or double French doors. 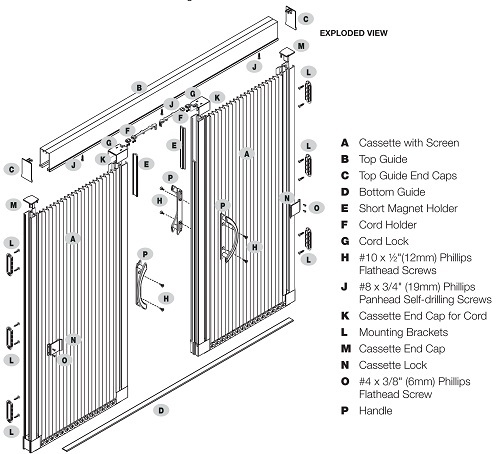 These are Re-sizable Screen Kits that can be custom sized on site prior to installation. Threshold or Sill is Flat or Sloped? The Sheer Advance Screen is a pleated screen system that bi-folds neatly back when not in use and is ideal for single entry doors, patio sliding doors or double French doors. The bottom track is low profile, wheel chair friendly and ADA compliant. Sheer Advance Screens glide smoothly across the door opening and can be stopped in any position.